Spaghetti with mushroom sauce is one of my go-to recipes. Cut mushrooms into stripes, sear them, add cream sauce. Put that on your noodles (you know how to cook noodles, right? ), and heap ungodly amounts of grated cheese on sauce and noodles. When I say ungodly amounts, I mean Xenogears-style god-slaying amounts. Eat while watching an episode of anime. Maybe even Little Witch Academia? This episode would certainly work. Thank you for the culinary tip and this episode! Thank you for your continued labours. Never forget to remember love. All those references omg omg omg be prepared guys! May I recommend you do a carbonara instead? Mix those ungodly amounts of cheese with some raw yolks and pepper (some cream too if you want), saute some bacon/pancetta and season cooked pasta with said bacon, take the pan off the heat and pour in the eggs and mix constantly because you don’t want the egg to cook completely. Itadakimasu! Also, fry sliced mushrooms in butter over medium heat. Add a tablespoon of strong coffee, some salt, pepper and spices (rosemary kicks it), and allow the water to cook away. I call ’em insomnia mushrooms. Throw ’em on any meat dish, or pig ’em out by themselves. Also, that carbonara idea is awesome. 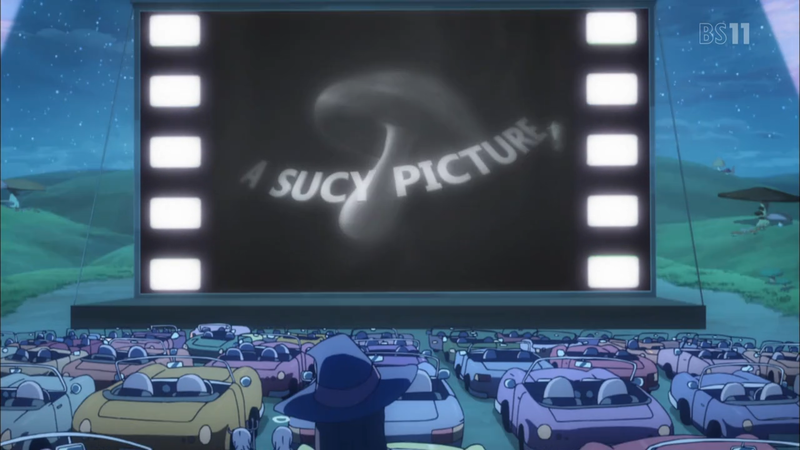 I wonder if Sucy rocks early Allman Brothers?